ALL-100 family is a newly designed platform of universal device programmer. Up to 8 sets of ALL-100/ALL-100P can be connected to a PC through USB ports for time consumption devices in order to make maximun programming capacity per operator to be possible. ALL-100 family features high-tech pin drivers to provide excellent programming capabilities at high speed, high reliability and high expansion flexibility. All pin drivers of ALL-100 family are fully programmable to meet modern programming /testing needs including newly released low voltage devices in the market. ALL-100 family supports device programming for variety types of device coveringEPROM, EEPROM, Serial PROM, FLASH, PLD/CPLD/FPGA, MPU/MCU, RS-MMC/MMC/SD Card etc. Most of programmable devices inDIP, SDIP, SOP, MSOP, QSOP, SSOP, TSOP, TSSOP, PLCC, QFP, CASON, QFN, MLP, MLF, BGA, CSP, SOT, DFN package types can be programmed on a DIP-48 Programming Module directly or through an appropriate ADAPTER/CONVERTER. High speed USB port is provided to connect to the majority of notebook or desktop PC runs on Windows 98se/Me/2000/2003 Server. 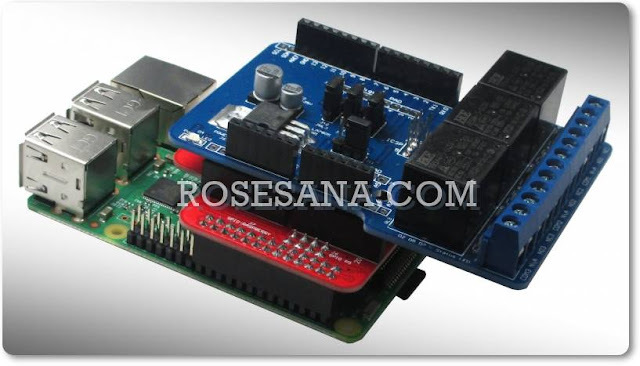 ALL-100 can be either used as a powerful universal programmer or upgraded to be an ALL-100P / ALL-100G Gang Programmer to work with various types of dedicated Gang Programming Modules by just adding the 4th pin driver card into ALL-100 base unit. The big brother ALL-100G4 is composed of 4 units of ALL-100G in a single box for helping production lines to achieve maximum programming capacity with minimum setup. Due to state-of-the-art design, ALL-100 family is able to satisfy your device programming needs from the very beginning engineering phase to small production stage all the way through mass production. Wide Device Coverage - Wide rage of programmable devices from 8 pins up to 300 pins covering EPROM, EEPROM, Serial PROM, FLASH, PLD/CPLD/FPGA, MPU/MCU, etc. in DIP, SDIP, SOP, SSOP, TSOP, PLCC, QFP, or BGA etc. package types. Excellent Performance - Utilize flexible pin drivers to get accurate waveforms, high programming speed plus over current protection, self diagnostic etc. ensures ALL-100 excellent performance. Easy to Use - Runs on Windows. After master read or file download from PC, user only needs to select function from Menu and then press YES key on programmer to start program function. Operation is very easy. High Expansion Flexibility - Standard DIP48 Module with over 500 ADAPTERs, 150 CONVERTERs for single site programming or various types of multi-site Programming Module can be used to ensure your capital investment retained. High Reliability - Utilizing proven ALL-11 technology, the programming quality is getting perfect. Get AT3-300 Automated Programming solution - Resolve your mass production programming issue at engineering stage. Release New Device Support via Internet Weekly - Your future needs will never be neglected after purchasing. World Wide Service - Distribution channel covers 35 countries worldwide. Your problem could be taken care anywhere around the world. Device Type: covering EPROM, EEPROM, Serial PROM, FLASH, PLD/CPLD/FPGA, MPU/MCU, etc. 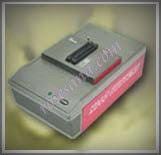 Power AC voltage - 100 - 240 VAC. Dimension L x W x H - 260mm x 150mm x 100mm.